On October 4, 2018, the second ILMAC LAUSANNE closed its gates. We were, of course, part of it with our Limsophy LIMS and now we are looking back on a well-attended and successful trade fair. Almost 1500 trade visitors came to Lausanne and took the opportunity to find out about the latest trends and innovations concerning chemical and life sciences. 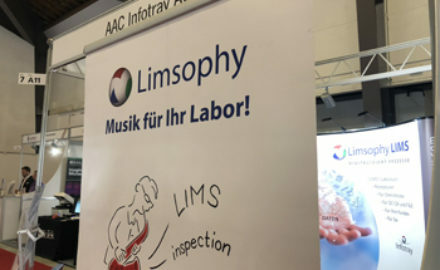 Thanks to Moving data in the lab 4.0, we were able to convince a lot of them to experience our Limsophy LIMS live and learn about improving their digitization strategy. 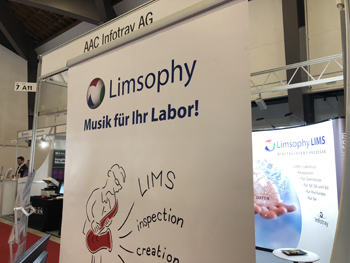 Thank you, dear visitors, for your interest in our Limsophy LIMS! We are pleased that we were able to inspire you with our digitization expertise. The next ILMAC LAUSANNE takes place at the Expo Beaulieu Lausanne on October 7 and 8, 2020. If we have also aroused your interest in our software and you would like further information, please do not hesitate to contact us at any time. We look forward to seeing you!